"JAGS AIN'T WORRIED BOUT NOTHIN"
Welcome! 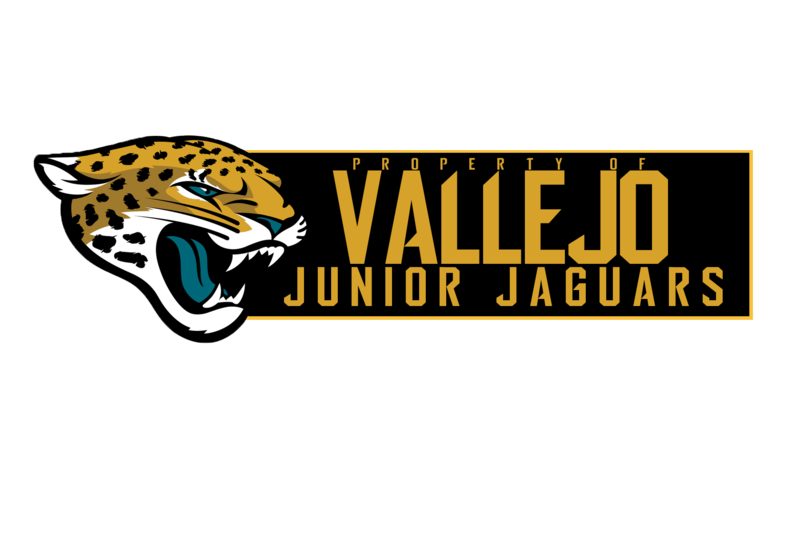 The Vallejo Jr. Jaguars are now members of American Youth Football/ NorCal League Conference. One of the fastest growing, and highly competitive Leagues in the nation, surpassing Pop Warner. In this league, we will be playing against some of the most competitive teams that The Bay Area, and Sacramento Areas have to offer. As you know, there are some rivalries, and there will be some new Challengers, but rest assured, We ARE READY. Most of our games will be local. Our program is designed to be an established feeder program for Jesse Bethel High School, and our mission is to offer the youth in the City of Vallejo the opportunity to learn the techniques of football and cheerleading prior to high school experience. Our program encourages our youth to 1. Stay in school, 2. Make good grades, and 3. be "Champions" on and off the field. Our Program offers our youth a better high school experience by meeting and training with the high school coaches which will help our kids with their transition into High School. Our program has the 100% full support of Jesse Bethel High School's Athletic Department, and Booster Club. Many of our players are current or future students at Jesse Bethel High School, and either already are or are becoming familiar with the athletic system and academic requirements for future success in life. Our program is a 5 division association in Tackle Football and Competitive Cheer teams. In 2008 and 2009, ALL our football divisions were playoff contenders. In 2008 our Jr. Midget Football team went UNDEFEATED, and our Midget Cheer division won State, and remains to be a threat to all other Associations. We always maintain a consistent History of dominating on all levels. Email Us. Don't forget to stop by the forums and make a post!